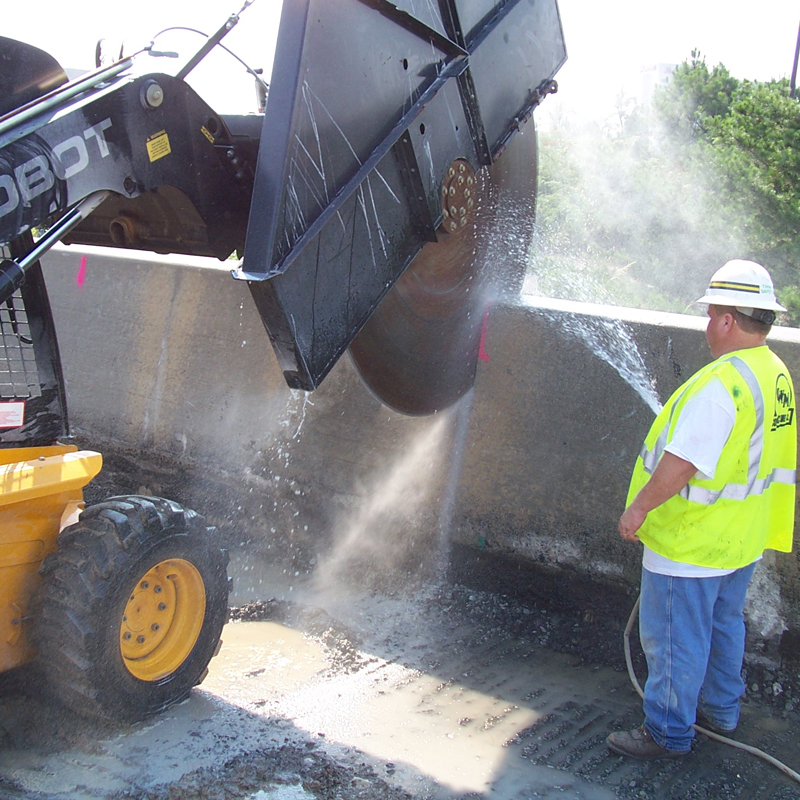 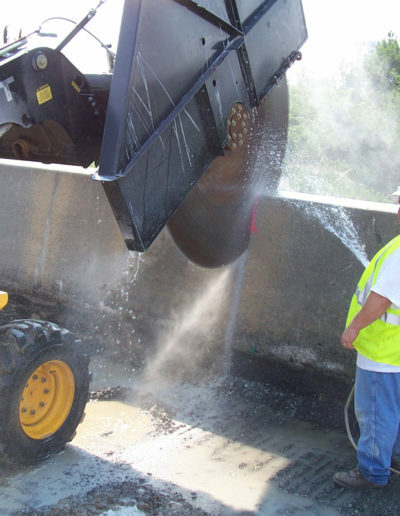 Our Skid Steer attachment saws will cut the hardest materials including concrete with rebar, granite, basalt and asphalt. 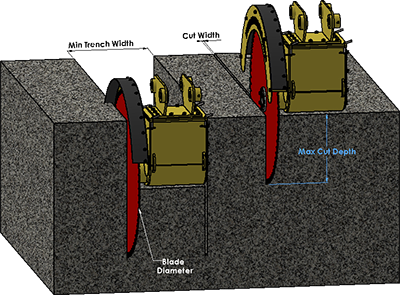 The skid steer saw extension enables a standard or high-flow machine to excavate up to 30 inches of cutting depth when operated with our concrete cutting units: RTS10D and RTS20D. 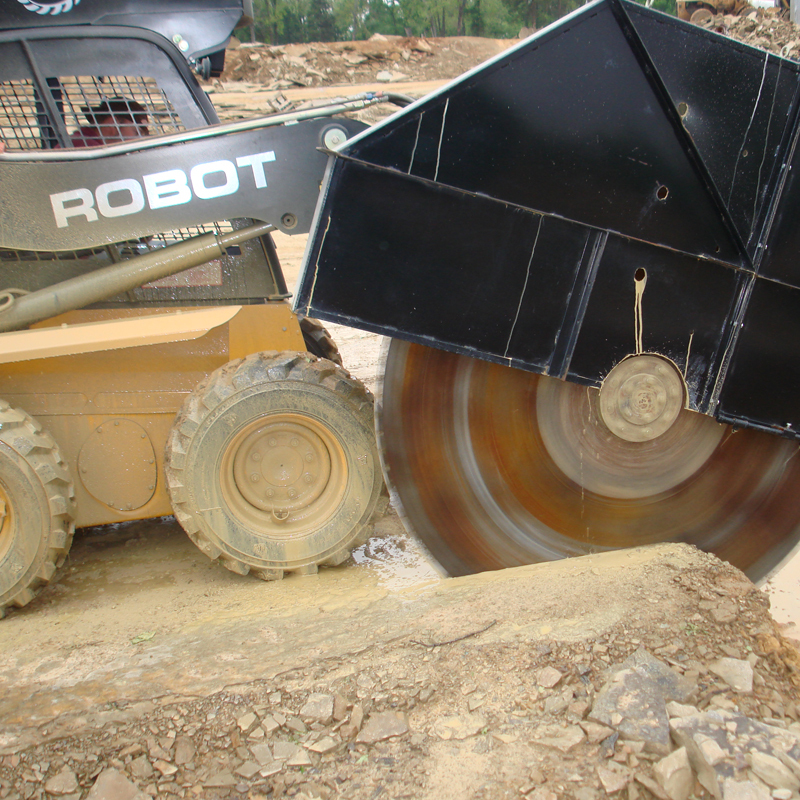 The versatile skid steer attachment also functions on a mini excavator, enabling efficiency where conventional push saws cannot perform. 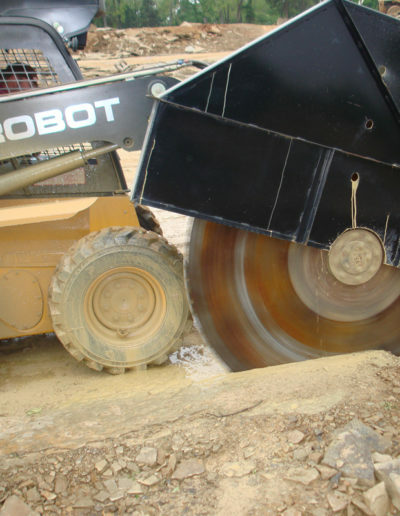 Contact us with your requirements and we’ll get in touch.